REDONDO BEACH — St. James Catholic Church in Redondo Beach has established a fund for victims of last week’s tragedy. On Dec. 17, after a school Christmas concert at the church, located at Pacific Coast Highway and Vincent Street, Margo Bronstein, 56, of Redondo Beach ran a red light and drove into a crosswalk filled with pedestrians leaving the concert. Three adults and one child were killed. Several others were injured and remain hospitalized. In a court appearance on Dec. 19, Bronstein pleaded not guilty to four counts of gross vehicular homicide while intoxicated and a felony count of driving under the influence of a drug, causing injury. She was ordered to remain jailed in lieu of $500,000 bail while awaiting her next court appearance on Jan. 14. Police said a total of 11 pedestrians were struck, although the criminal complaint names only nine victims. 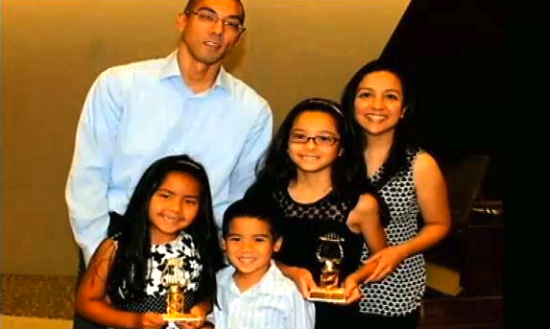 All five members of the Gaza family of Torrance were impacted. Martha Gaza, 36, and her son Samuel, 6, died from their injuries. Glen Gaza, Martha’s husband and Samuel’s father, remains hospitalized. The couple’s two daughters, in grades 2 and 5, were treated and released. Three members of the Matsumura/Lem family were hit. Saeko Matsumura, 87, of Torrance was killed. Her daughter, Karen Lem, and grandson Jasper Lem, an eighth-grader, remain hospitalized. Mary Wilson, 81, of Torrance, a grandmother of sixth- and eighth-graders, also died from her injuries. Both Matsumura and Wilson were watching their grandchildren perform in the concert. Diane Quast and her daughter, a fifth-grader, were treated at the hospital and released. Donations for funeral and medical expenses can be made online at https://donations.la-archdiocese.org/sjvf/ or mailed to St. James Catholic Church, Attn: Msgr. Michael Meyers, 415 Vincent St., Redondo Beach, CA 90277. “The Archdiocese of Los Angeles has created a fundraiser that will be distributed to the four families,” the church said in a statement. “Please be aware that there may be some potential fraudulent fundraisers as well, so please know that this is legitimate.